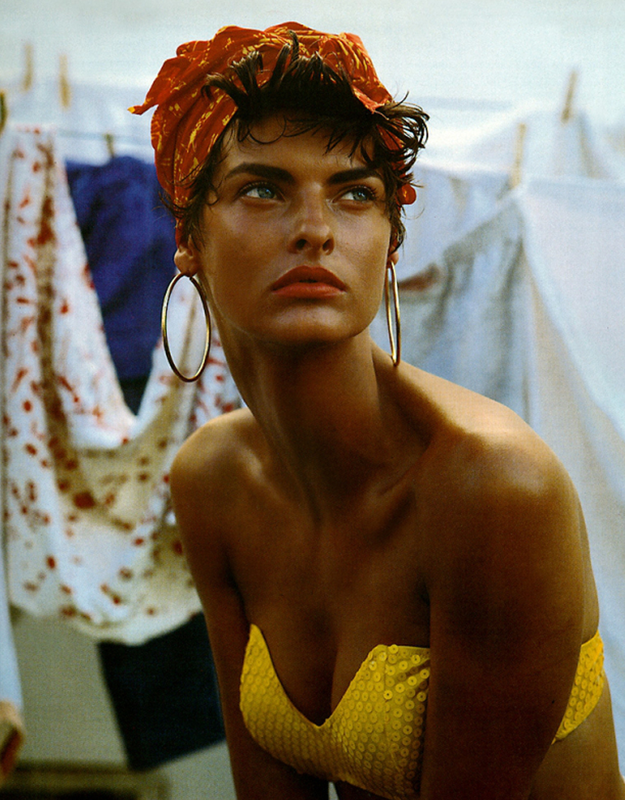 Linda Evangelista photographed by Steven Meisel for the February 1989 edition of Vogue Italy. I’ve always wanted to venture to Cuba. A desire which may or may not have been fuelled by Dirty Dancing, Havana Nights. Live music, divine, savoury food and handsome gents. Colour, colour, and more colour. Resplendent architecture and sensual tango’s on the sidewalk. My vision of Cuba might not be the most realistic but this editorial permits me to continue envisioning it so. A weekend to carouse and a suitcase swarmed with little sequinned numbers, mules and vibrant lipstick. Late nights, an excessive consumption of wine and many a fun moment with the locals. Walking home barefoot then catching a glimpse of the glittering sunrise as you collapse into a lawn chair, succumbing to an exhaustion of pure happiness. I love looking back at these images from time to time. The vibrancy and romance completely seduces ones mind and impregnates it with inspiration. It’s playful in nature yet makes you question its overall innocence too. Now, I have a question I wish to pose to you all. And be honest with me here but if I had not made mention that this was Vogue Italia circa the late eighties, how many of you would have guessed it so? 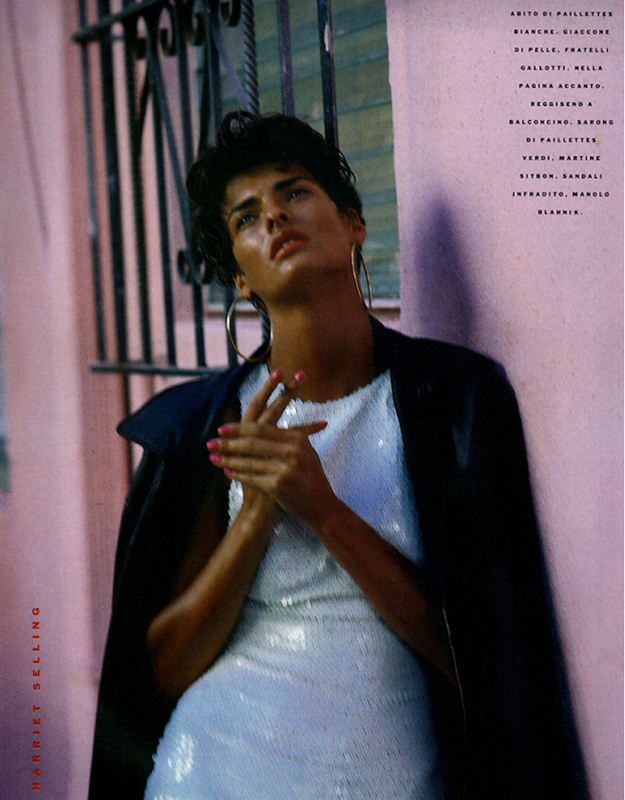 Aside from the fact that the dazzling Linda Evengalista graces it that is. I’m always amazed at how transcendent this piece actually is, especially within the sartorial content which for most part, many of these pieces are still widely in circulation today. Like those sequinned skirts and cropped tanks, the flamboyant earrings and the orange and pink stained lip. It’s no secret how cyclical fashion and beauty truly is but seeing it here and now can do crazy things to one’s mind. At least, to mine anyway. Are you also in awe of its relevancy?